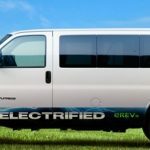 The eREV powertrain by VIA enables the VTRUX Van to drive the first 40 miles in all-electric mode with near zero emissions, and a full range up to 350 miles on a single fill-up. 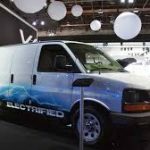 For most drivers, this means over 100 mpg in typical local daily driving. It’s exciting to drive — with more low-end torque. 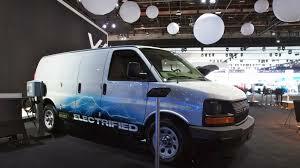 The electric van performs as well as or better than the comparable gas version.